New vans come with a feature where all the doors lock as soon as the vehicle gets up to speed. You can turn that feature off if you don’t want it. 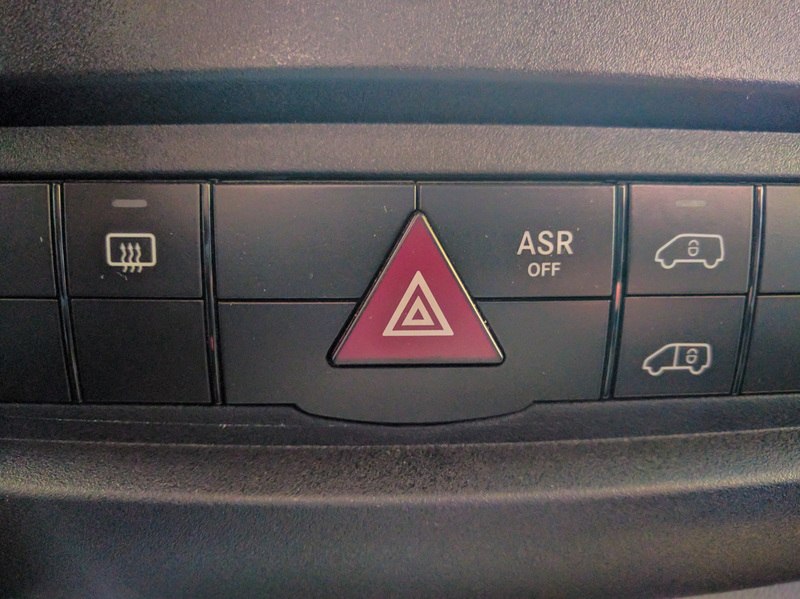 There are two door lock buttons on the dash, just next to the red triangular hazard flasher button. The lower button locks and unlocks the cargo compartment. 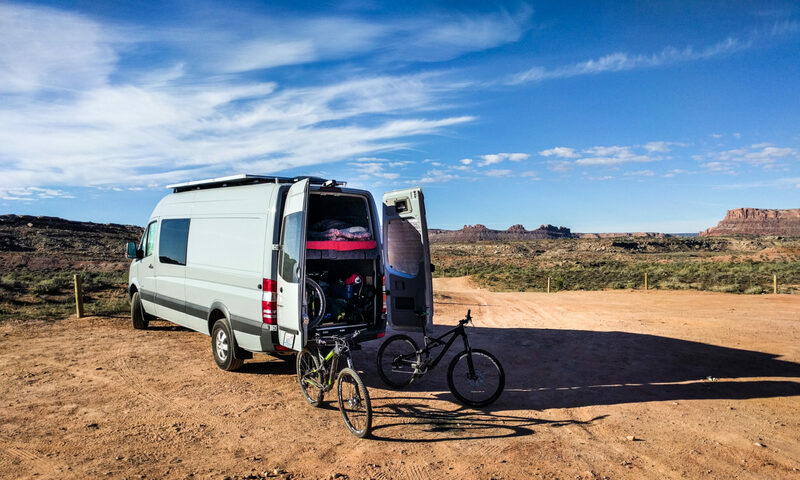 The upper button locks and unlocks every door on the van. Door lock buttons to the right of the hazard warning button. Top is all locks, bottom is cargo area only. To de-activate or activate the automatic door locking feature, you just have to press the upper lock button for around 5 seconds while the ignition key is in the first position and the vehicle isn’t moving. If you do the same thing with the lower lock button, it activates/de-activates just the cargo doors. The LED in the lower lock switch will flash 4 times to show that the locking has been activated, and 2 times to show that it’s been deactivated.